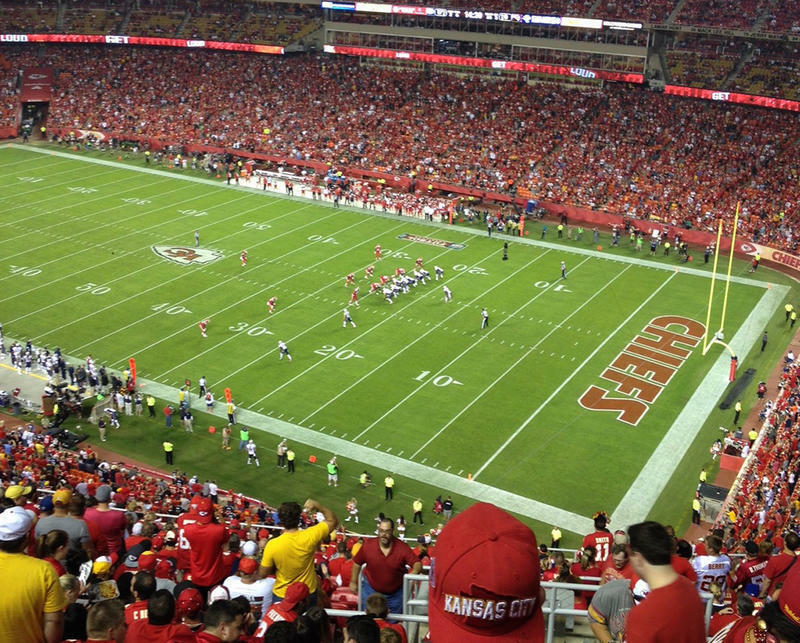 Now that Missouri only has one NFL team, will St. Louis football fans switch their devotion to the Kansas City Chiefs? Since 2002, the owner of the Rams, Stan Kroenke, has expressed dissatisfaction with the Edward Jones Dome in St. Louis. In 2015, in an effort to keep the Rams in St. Louis, Gov. Jay Nixon started a stadium task force that proposed a $1 billion stadium along the Mississippi River near the Gateway Arch. That stadium will never exist. Instead, Kroenke will take his Rams to L.A. (Inglewood, to be exact) where he plans on building a $1.8 billion stadium. Now that St. Louis is without an NFL team, many Missourians are wondering where St. Louis football fans will send their devotion. The Kansas City Chiefs' back-up quarterback Chase Daniels has fans across the state — he nearly led the Missouri Tigers to a National Championship game in 2007. He took to Twitter Tuesday to find out what the Rams' move meant for his Chiefs. So...did we just get a bunch of fans from the Eastern side of the state?! @ChaseDaniel I'm definitely rooting for Missouri success in the NFL. Gotta rep my state and university players. @ChaseDaniel Wish you well...always...but I can't switch loyalties that easily. Sorry. Royals’ super-fan SungWoo Lee could feel the shift in the world of Missouri sports all the way from Seoul, South Korea. He also took to Twitter to find out what would happen now. @Koreanfan_KC Chiefs Kingdom extends through the Midwest, from Kansas to Illinois and Iowa to Arkansas! Goooo Chiefs!!!! @Koreanfan_KC Chiefs or some become Chicago Bears fans again. @Koreanfan_KC the Arizona Cardinals were STL's football team years ago. Some still cheer for them, too. @Koreanfan_KC @KCTV5 can't imagine St Louis will become KC fans. Too big of a rivalry. Regardless of where St. Louis fans' loyalties end up, the Rams are sure to gain some new followers — at least some of the estimated 3.66 million NFL fans in the Los Angeles area. Kyle J Smith is an intern for KCUR's digital team. You can find him on Twitter, @kjs_37.